A festive activity or rainy day boredom buster - this is a fantastic seasonal arts and crafts gift for kids. 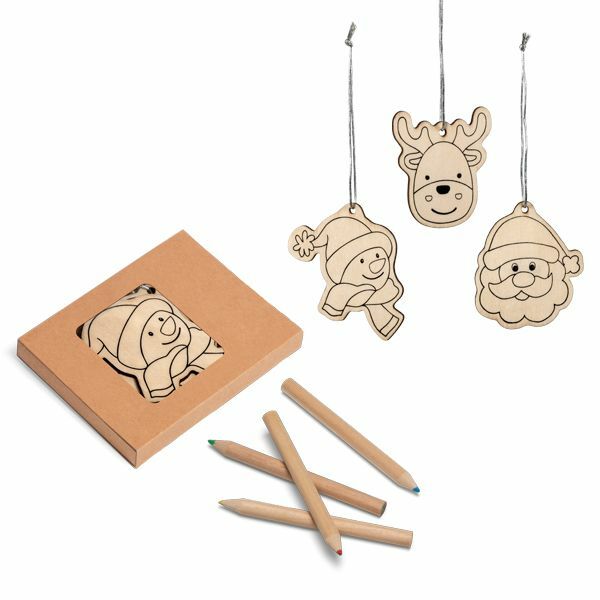 The pack contains 3 wooden baubles / tree ornaments in Santa, Snowman and Reindeer Design. A FREE pack of colouring pencils is also included with Red, Blue, Green and Yellow Colours. Each bauble has a silver metallic thread so that you can hang them on your tree; a keepsake and a meaningful addition to any tree.